Donald Trump knew what he was getting into when he agreed to do an interview with The New York Times. He knew that no one would toss him easy questions. No one would paint him as a hero or agree to "forget" his most embarrassing or offensive quotes. But most importantly, he knew that everyone would read it. Still, in his interview with Maureen Dowd, Trump acted like his usual, unapologetic self. Times veteran political reporter Dowd had to go to Trump Tower and spend an afternoon in The Donald's world, the only place where the way he views himself is embodied in real life. There, he is the most important man in the country and everyone's boss. She had to sit through self-promotion and verbal offenses. Her reward, however, was an honest account from him on how he sees himself. Trump has a habit of using his popular Twitter account to lambaste the publications and journalists who publish unflattering stories about him. That might be the fate of The New York Times and Dowd in the wake of the story's publication. However, readers got a true look into the Trump psyche. Here are the seven most frustrating moments from an interview with a man who refuses to change. Trump said of the supermodel, "Heidi Klum. Sadly, she’s no longer a 10.” And yet he still thinks he values women. 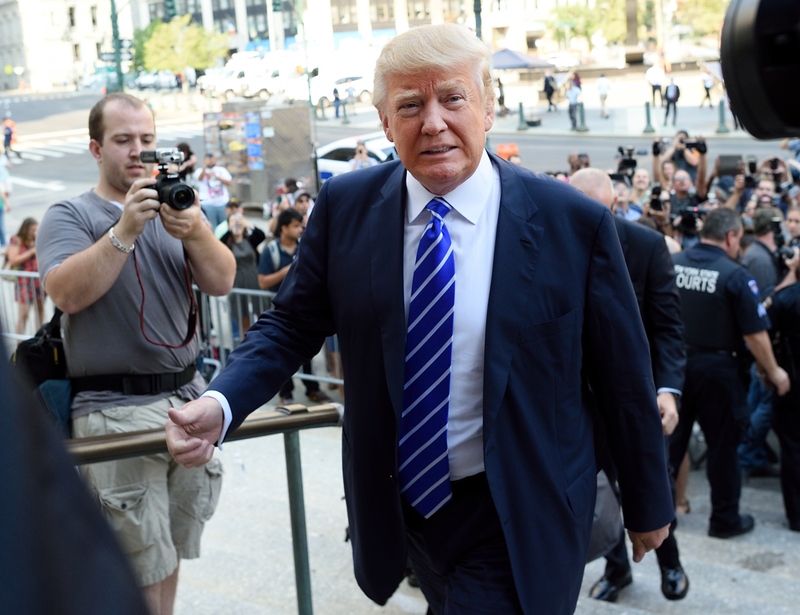 Trump has been highly critiqued for his swipe at O'Donnell during the first GOP debate. He told Dowd that O'Donnell was a bully, and that the only way to defeat a bully was to smack them in the nose. He isn't helping his case. “Oh, I would never talk about (Clinton's and Fiorina's) looks,” [Trump] replied primly. He did, however, imitate how his ears felt (“Eeeeeeeeee”) when he hears Carly’s “staccato bing, bing, bing” voice and delivery. Trump said that the other candidates rely heavily on pollsters, "They pay these guys $200,000 a month to tell them, ‘Don’t say this, don’t say that, you use the wrong word, you shouldn’t put a comma here.’ I don’t want any of that. I have a nice staff, but no one tells me what to say. I go by my heart. The combination of heart and brain. When Hillary gets up there she reads and then goes away for three days.” It wouldn't kill Trump to be a little more prepared. Trump said in the interview, "I don’t know how you would define insecurity as it pertains to me." He also mentioned that his tie was made by "a wonderful guy named Trump." He said, "I have many women executives and they are paid at least as much as the men. I find women to be amazing.” This statement, which embodies the title of the article: "Introducing Donald Trump, Diplomat," is undermined by the way he talks about women in the interview. “I am a man of great achievement. I win, Maureen, I always win. Knock on wood. I win. It’s what I do. I beat people. I win," he said. We'll just have to see in a year, won't we?